Time: 8.00am "hingga selesai" - a bit confusing isn't it? It's rather weird to have indefinite time. 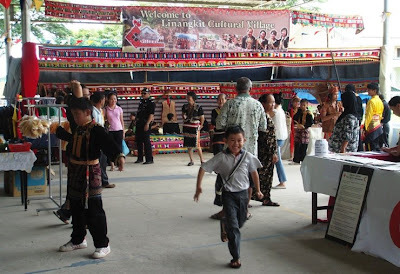 Venue: District community centre (Dewan Bersatu Tuaran). 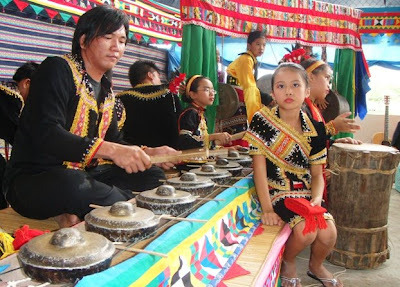 District level Kaamatan fest in Tuaran was not that 'grand', so I was told. This was based on attendance at the designated venue. We were not around when it was officially launched by Local Government and Housing Minister Datuk Hj Hajiji Hj Mohd Noor, we're sort of like..late comers, LOL. This is how the not-so-crowded football field in front of the community centre look like. 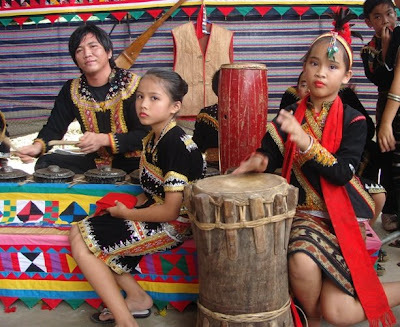 Participation by various ethnic group, organisations, and business communities. "Okay now, carry on playing those instruments. Don't bother my annoying picture taking!" 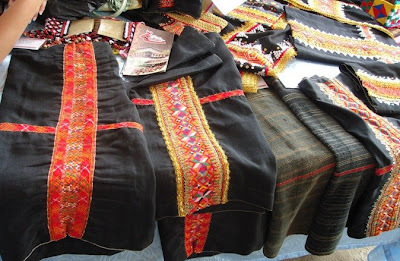 I like the "Kulintangan" best. 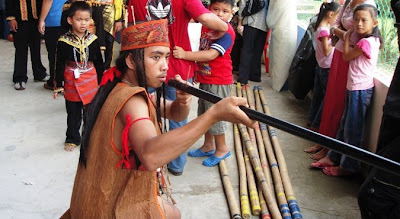 ...get shot with venomous arrows by this "pahlawan". Hehehe..i was kidding, okay! The scale of celebration was somewhat lacking the "Umphhhh!" and you can feel the rather poor response/ participation from visitors/exibitors as well as lack of side activities, it was fairly a disappointing experience to say the least. So, we headed for the temple which is located just about 500 metres away from the fest venue. It's so tall you can actually see the sea from the top floor. Well, we did not climb up though. Sigh! 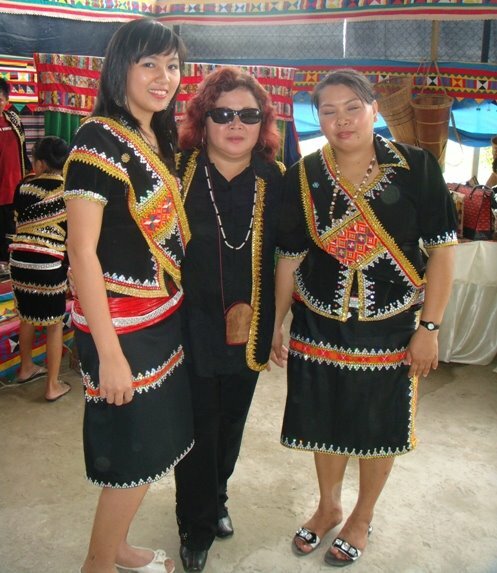 Unduk Ngadau 2009 for Tuaran District is Miss Fredericka Richard (seated), flanked by 2nd place Miss Flina Rutum, and 3rd place Miss Myra Rosnita. Many many congratulations and best wishes for the coming final at KDCA on 31st May. we call that complimenting - some people enjoy things their ways, other like them on the flipside. If everybody thinks alike, then I doubt if we are human being.